Taking time to socialize your puppy is an important part of your puppy care responsibilities, but it's one many owners are unaware of, or simply forget about. 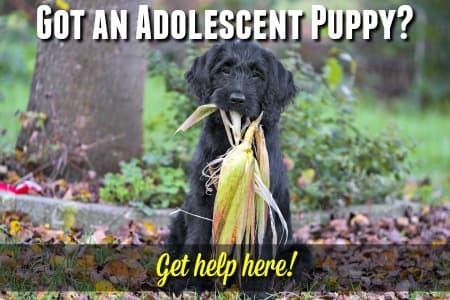 'Socializing your puppy' basically just means helping little Fido to become more confident in social settings and it should be a fun activity - not a chore. Of course, most puppies are naturally happy, friendly little furballs who want to be best friends with everyone they meet. But this often doesn't last. They're creatures of habit and as a puppy matures, if he only gets to see the same half-dozen people, in the same environment, day after day - then he's going to feel anxious, stressed or even scared when he finds himself in a new situation or faced with new people or animals. This is upsetting for both of you, and can lead a pup to become snappy or defensive whenever he's out of his comfort zone, even a trip to the vet's office can become an ordeal. BUT if you get your pup familiar with different people, animals, places, noises, sounds and so on from a young age, then he will grow up to be a happy, confident and friendly adult who can accompany you anywhere. That's why it's so important to socialize your puppy! Puppies grow and develop at a very rapid rate during the first year of their lives. If you want the very best results when socializing a puppy, you need to get the timing right! Puppy socialization isn't limited to learning about the human world, it also includes learning proper 'dog' behavior within a 'pack' or family of canines. That's why it's generally recommended that you don't remove a puppy from it's mom and litter mates before a minimum of 8 weeks of age. Puppies begin learning about their world as soon as their eyes and ears open at about 2 - 3 weeks old, and the intricacies of canine behavior are a good place to start. If their mom is a well socialized, calm and friendly dog, her attitude and behavior will rub off on her puppies. Puppies also learn bite-inhibition (how hard they can bite without getting in trouble!) through play with their siblings. The most critical socialization period for puppies is between 3 and 17 weeks of age, and it's important to make sure you begin to introduce your pup to new people, pets and places as soon as you can. Definitely by the time she's 12 to 16 weeks old. BUT you need to be very careful to begin with and limit your puppy's social interaction to SAFE places, people and pets. 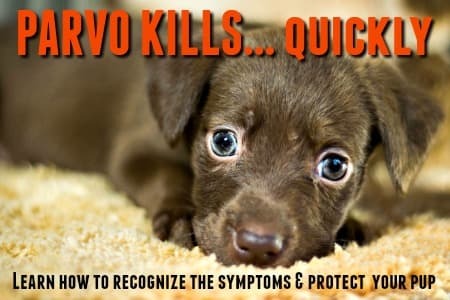 This is because until her puppy vaccinations are completed, she's at risk catching of several serious diseases... one of the most dangerous being Parvovirus. So, until all the shots are done - limit your pup's excursions to the homes of people whose dogs are fully vaccinated, or invite friends/relatives to bring their (again, fully vaccinated) pets to your home. When you begin the puppy socialization process by inviting people of different ages, sexes, sizes etc., over to meet her, make sure it's always a pleasant experience for him. Have the visitors feed him treats and pet here quietly and calmly. 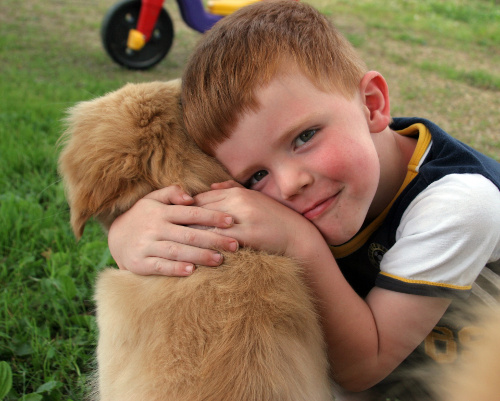 Praise your puppy whenever he reacts with confidence and is friendly and outgoing. Don't 'coddle' him if she seems afraid, instead encourage him to be social, using a bright, friendly voice and upbeat manner. Your little one's first visit to the veterinarian's office can be a terrific early socialization experience. 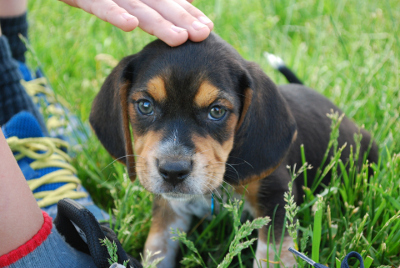 Most staff will greet your puppy warmly and be only to happy to give him treats and cuddles. Again, don't make the mistake of 'baby-ing' your pup if he seems nervous, use a confident, happy voice and show him that here's nothing to be afraid of. 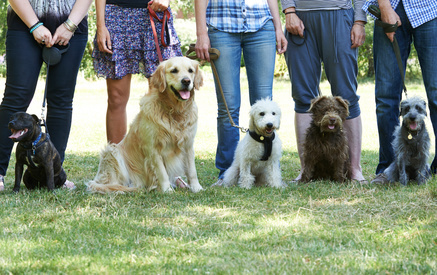 You can also arrange some 'play-dates' with other friendly, vaccinated dogs/puppies at your house. Your best friend's pooch, or your sister's pup are a good place to start. Always supervise these interactions carefully though, so that he doesn't get scared or overwhelmed. When you're socializing your puppy you want the experience to be fun for him and have pleasant associations in his little puppy brain. That's how you build up his self-confidence and help her learn that the world is full of exciting new people, places and fun! As soon as your puppy has had at least 2 sets of shots you can usually enroll him in a puppy socialization/puppy obedience training class. Individual dog obedience schools do have different policies regarding shot requirements though, so check first. Some want your puppy to have had ALL their vaccinations first, others will accept a puppy who is up-to-date on the shots required for her age. These puppy obedience classes are a great way to introduce your puppy to other puppies of different ages, sizes and breeds. They provide a safe environment for puppies to learn how to play and interact with other members of their own species. They also give you the opportunity to socialize with other puppy parents and learn from tips from professional dog trainers! 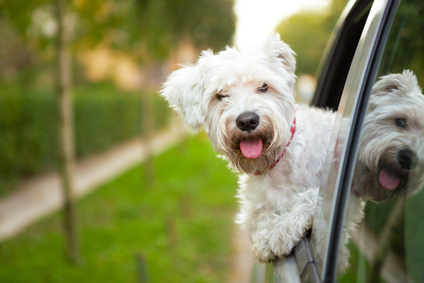 After your puppy is approximately 12 - 16 weeks old, and has had all his puppy shots, you can safely begin to take him out and about in the big, wide world! In order to fully socialize your puppy, you need to introduce him to as many different people, places, things and experiences as possible. 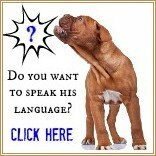 For lots of ideas and suggestions on where to go, and what to do, visit my Puppy Socialization Page! Don't try to cram it all into a week or two though! You don't want to overwhelm or overstimulate him, that can be counter-productive and stress him out. Allow each new experience time to be absorbed and processed before moving onto the next one. When you're trying to socialize your puppy, one new person, place or thing per day is usually enough. And leave a couple of days, free once a week so that to relax and re-charge his batteries at home. Puppies are adorable and people usually react favorably to a cute furball. So take advantage of puppyhood and let him experience as many new sights, sounds, people and places as you can manage. Puppy socialization shouldn't end at 17 weeks of course, it should be an ongoing, life-long commitment. 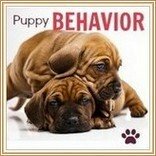 Somewhere between 4 & 12 months of age, breed-specific differences in behavior start to appear. For example, a pup from one of the guardian breeds will begin to show signs of increased territorial and protective behavior. It's especially important to continue to socialize your puppy in this case so that appropriate social behavior is reinforced and rewarded. A confident, friendly, well-behaved dog is a joy to own. If you take the time to socialize your puppy properly, you'll reap the rewards for years to come. Fido will mature into a loving, confident and reliable companion that you can be proud to have accompany you anywhere, anytime.